Trucking is a great way for individuals with a commercial driver’s license (CDL) to make money while working for themselves. Other times, existing businesses need to acquire a fleet of trucks to scale their operations, however trucks are very expensive. A new truck costs about $80,000, which means that many new businesses, and some existing ones, cannot afford this cost outright. So, they turn to a financier who understands the industry. Unfortunately, people with a poor credit history may not qualify for funding if they don’t know where to look. We at Truck Loan Center feel that you should not be prohibited from securing financing for truck loans and truck leasing due to past financial difficulties. Truck loans and truck leasing can help you to build a profitable business. That’s why we’re committed to helping all of our clients find the best deals possible while truck financing and securing credit – regardless of the situation. Commercial truck loans and truck leases do not have to be a challenge if you approach them right. Bad credit truck loans and truck leases are provided by loan centers that specialize in non-conventional financing. Non-conventional financing means that we work tirelessly to explore every single financing option available, even if that means going outside the familiar avenues of traditional lenders and financial institutions. This means that the decision of the Truck Loan Center to provide you with a loan or lease is not influenced by bad credit, slow payments, recent case of bankruptcy or even previous repossessions. In fact, these loan centers don’t even ask for financials or tax returns. We are committed to helping our clients, no matter the circumstances, and we pursue every lead we have and use every tactic available to us to help you get a much needed truck lease or truck loan. Who can receive bad credit truck loans? What kind of equipment can be loaned? 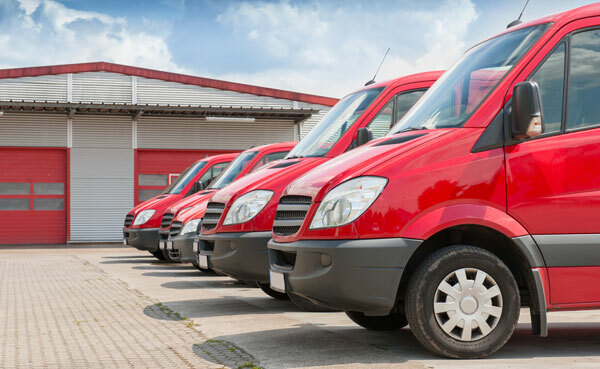 When it comes to getting a loan for a commercial truck, the first step is defining the kind of vehicle that you want to finance. There are two types of commercial trucks: Transportation vehicles or trailers, and vocational trucks, such as cement trucks, dump trucks and other work trucks. The kind of truck and what you need it for will dictate the financing scheme (truck loan or truck lease) that will make the most sense to you and will also factor into the financing options that are ultimately available to you and from where. The process for acquiring a loan is slightly different for each category of trucks. Loan centers also look at what the vehicle will be used for, and its age, before agreeing to give you a bad credit loan. So, while some loan centers sell a loan with harsh terms, you’ll obtain solution-based financing that allows you to start or grow your trucking business. Can I lease a truck with bad credit? Provided you visit a lender that specializes in helping people with a low credit scores, you will be able to arrive at the most ideal solution for your case, whether it is leasing or loaning the truck you need. Some loan centers understand that bad credit can keep you from growing your business and we at Truck Loan Center feel that it is unfair to hamper the ability of business owners to move up and forward in life simply because of previous financial history. So, we work with you to identify lease options that will get you hauling as soon as possible.